Were Hedge Funds Right About Souring On TD Ameritrade (AMTD)? Is TD Ameritrade Holding Corp. (NASDAQ:AMTD) a splendid investment today? Money managers are taking a pessimistic view. The number of long hedge fund bets were trimmed by 1 lately. 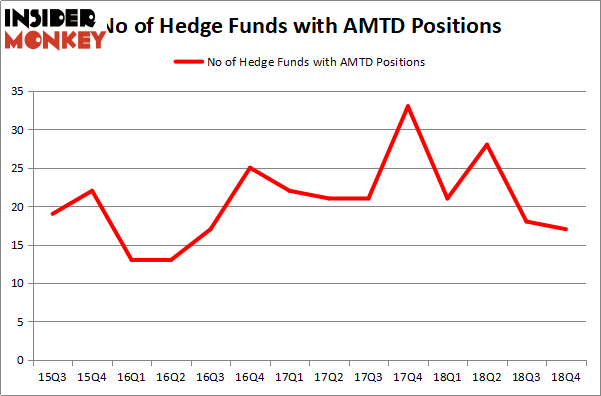 Our calculations also showed that AMTD isn’t among the 30 most popular stocks among hedge funds. We’re going to take a glance at the new hedge fund action encompassing TD Ameritrade Holding Corp. (NASDAQ:AMTD). How have hedgies been trading TD Ameritrade Holding Corp. (NASDAQ:AMTD)? Heading into the first quarter of 2019, a total of 17 of the hedge funds tracked by Insider Monkey were long this stock, a change of -6% from one quarter earlier. By comparison, 21 hedge funds held shares or bullish call options in AMTD a year ago. With hedgies’ positions undergoing their usual ebb and flow, there exists a few noteworthy hedge fund managers who were upping their holdings meaningfully (or already accumulated large positions). According to Insider Monkey’s hedge fund database, Charles Akre’s Akre Capital Management has the largest position in TD Ameritrade Holding Corp. (NASDAQ:AMTD), worth close to $164 million, corresponding to 2.1% of its total 13F portfolio. Coming in second is Arrowstreet Capital, led by Peter Rathjens, Bruce Clarke and John Campbell, holding a $83.2 million position; the fund has 0.2% of its 13F portfolio invested in the stock. 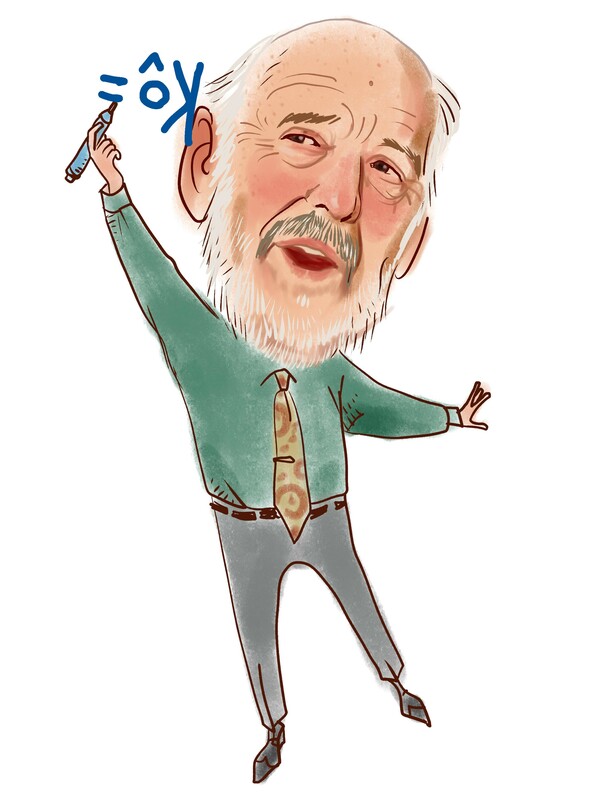 Remaining professional money managers that hold long positions encompass Ken Griffin’s Citadel Investment Group, Eli Cohen’s Crescent Park Management and Jim Simons’s Renaissance Technologies. Due to the fact that TD Ameritrade Holding Corp. (NASDAQ:AMTD) has witnessed bearish sentiment from the aggregate hedge fund industry, it’s easy to see that there were a few money managers that decided to sell off their entire stakes in the third quarter. Interestingly, Jason Karp’s Tourbillon Capital Partners cut the largest position of the “upper crust” of funds monitored by Insider Monkey, valued at about $18.5 million in stock, and Peter Muller’s PDT Partners was right behind this move, as the fund sold off about $10.1 million worth. These moves are intriguing to say the least, as aggregate hedge fund interest was cut by 1 funds in the third quarter. Let’s go over hedge fund activity in other stocks similar to TD Ameritrade Holding Corp. (NASDAQ:AMTD). We will take a look at Johnson Controls International plc (NYSE:JCI), Monster Beverage Corp (NASDAQ:MNST), eBay Inc (NASDAQ:EBAY), and Moody’s Corporation (NYSE:MCO). This group of stocks’ market caps are closest to AMTD’s market cap. As you can see these stocks had an average of 33 hedge funds with bullish positions and the average amount invested in these stocks was $2310 million. That figure was $495 million in AMTD’s case. eBay Inc (NASDAQ:EBAY) is the most popular stock in this table. On the other hand Johnson Controls International plc (NYSE:JCI) is the least popular one with only 26 bullish hedge fund positions. Compared to these stocks TD Ameritrade Holding Corp. (NASDAQ:AMTD) is even less popular than JCI. Our calculations showed that top 15 most popular stocks among hedge funds returned 19.7% through March 15th and outperformed the S&P 500 ETF (SPY) by 6.6 percentage points. Unfortunately AMTD wasn’t in this group. Hedge funds that bet on AMTD were disappointed as the stock returned 12.8% and underperformed the market. If you are interested in investing in large cap stocks, you should check out the top 15 hedge fund stocks as 13 of these outperformed the market.